Good governance in health procurement is necessary to deliver quality health care services to citizens. The State’s Employees’ Social Security and Social Services Institute in Mexico (Instituto de Seguridad y Servicios Sociales de los Trabajadores del Estado, ISSSTE) requested the OECD to assess the efficiency and integrity of its procurement systems and identify opportunities for improvement. 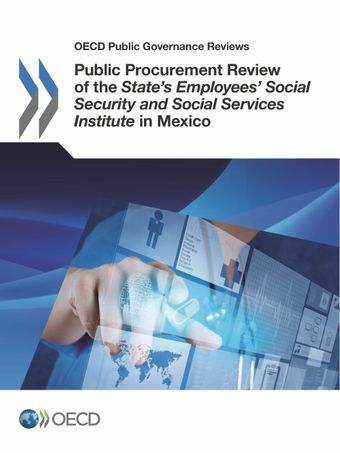 The OECD Public Procurement Review of ISSSTE (Instituto de Seguridad y Servicios Sociales de los Trabajadores del Estado) was launched in Mexico City on 14 November 2013. A state-of-the-art market studies unit to improve price and quality of procured goods and services. On 14 November 2013 Angel Gurría, Secretary-General of the OECD launched the OECD Public Procurement Review of ISSSTE in Mexico City. "ISSSTE has entered a new era, taking courageous measures to provide better health services. I want to congratulate the management of this institution for opening their public procurement processes to international scrutiny and for immediately implementing the recommendations of the OECD"
More than 500 participants attended the launch including Sebastián Lerdo de Tejada, General Director of ISSSTE, Luis Godina, General Secretary of ISSSTE, Alejandra Palacios, President of the Mexico Federal Economic Competition Commission, Ambassador of Mexico to the OECD Dionisio Pérez-Jácome Friscione, trade union leaders, senior officials from ministries and the Senate, university professors as well as representatives from the media and civil society. This review is part of the series of OECD public procurement peer reviews that help countries assess their procurement systems against the 2008 OECD Principles for Enhancing Integrity in Public Procurement. The Principles, agreed by all OECD member countries, were developed to help policy makers reform the whole procurement cycle, from needs assessment to contract management and payment. A second report by the OECD, Fighting Bid Rigging in Public Procurement in Mexico was also launched on the same occasion in Mexico.